Our most common trailer is a simple winch on, slide off trailer. This trailer is more than adequate for general use. 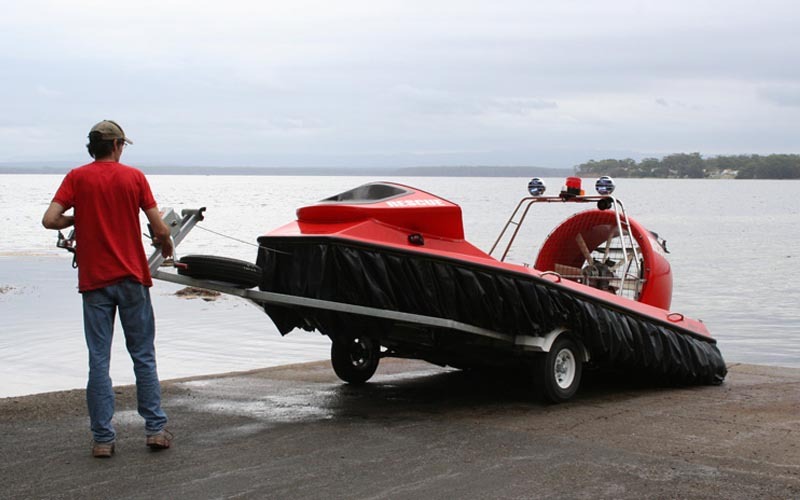 The hovercraft is very easy to get on and off almost anywhere. 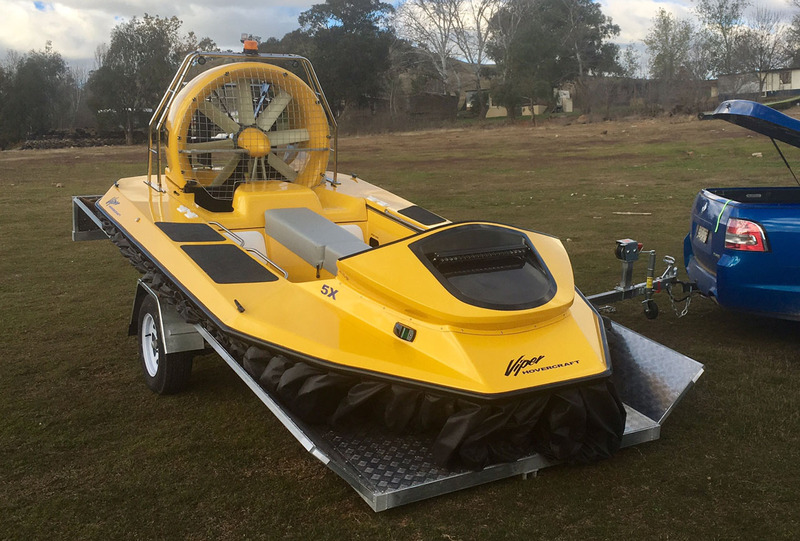 The hovercraft slides on nylon rails which locate into the lower hull. A light bar is supplied which attaches and plugs into the rear of the trailer. This trailer tilts and rotates around the drawbar while still attached to the vehicle. Up rated axles and bearings are fitted. This trailer has a 2,000kg GVM which is ideal for multiple uses. 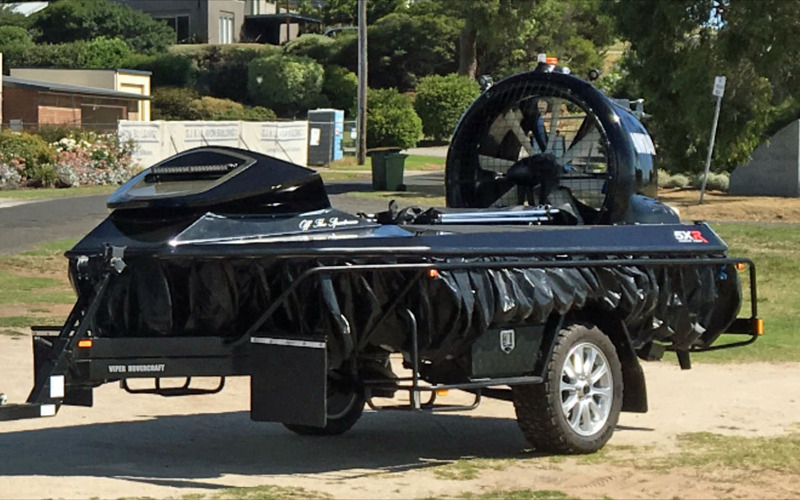 This trailer tilts to allow the hovercraft to slide off and fly or winch on. Up rated coupling, axles and bearings are fitted. Our off road trailer has a 2,000kg GTM. It tilts on gas struts to winch on and slide off nylon rails. It can be fitted with heavy duty off road leaf springs, independent coil or independent air bag suspension. Heavy duty off road shock absorbers are fitted as standard. It has electric or mechanical brakes and a hand brake as standard. 360 deg off road coupling. Stone deflectors. 16 to 20" wheels to suit your tow vehicle. Narrow wheel base to maximize track in mud and sand. We can install lockable compartments for storage, air compressor and battery. 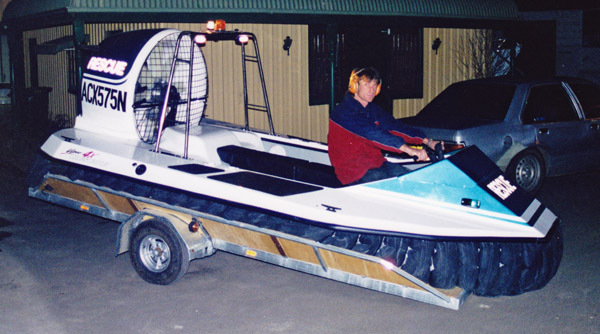 Capacity to carry 120L of fuel or water. 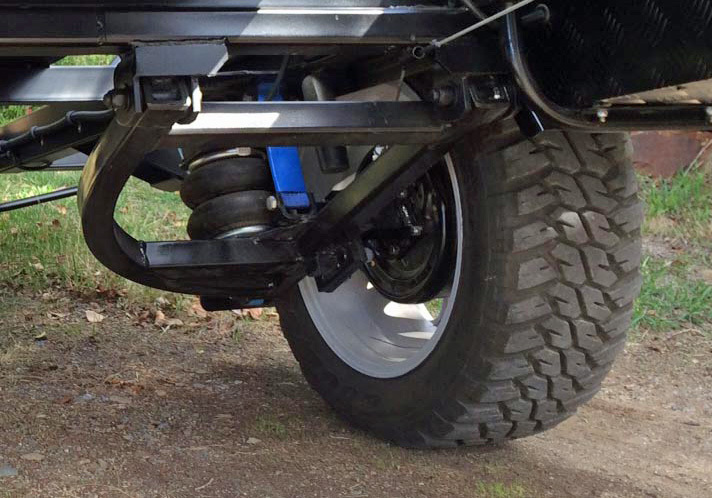 There is also provision for a rear mounted winch. Each off trailer is custom built to suit your requirements. The trailer pictured is just one example of our off roads builds.